There is a different India waiting for travelers in Ladakh! And it is this facet of the cold desert that intrigues the tourists. Known for its scenic beauty and unique culture (which is largely Tibetan in nature), Ladakh’s food largely goes unmentioned. And if you think momos are just what you should taste while in Ladakh, then you are far from the real picture. 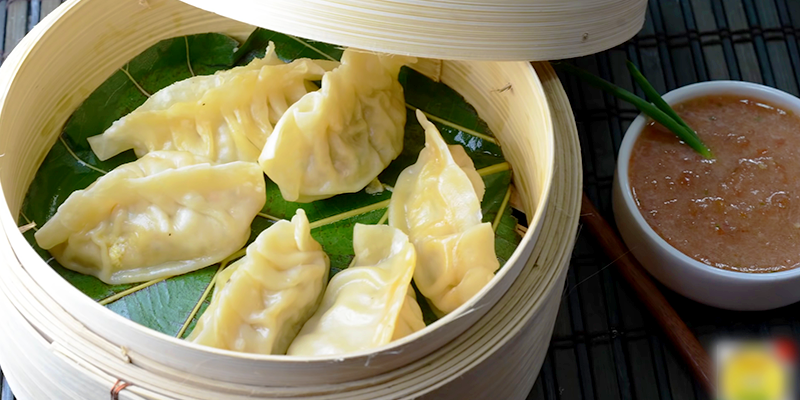 There is so much more to Ladakhi food then the quintessential momos. The preparation and ingredients used in these simple regional dishes makes them taste so special and unique. 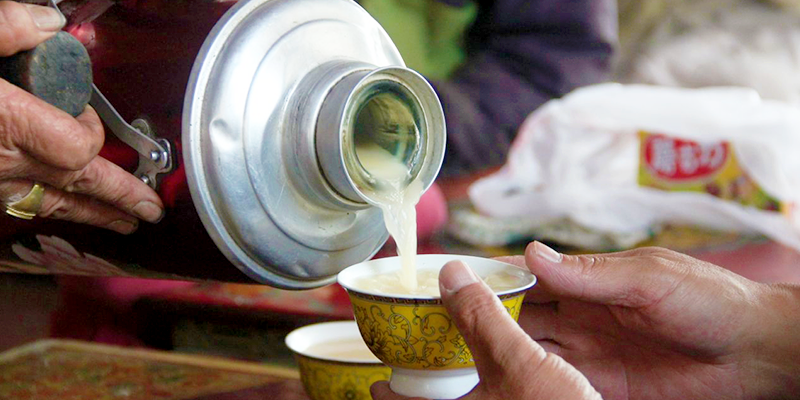 So, let us take you on a gastronomical journey through Ladakh. Eat it whenever, wherever. This food is easy to prepare and delicious to taste, when eaten from the right places, and what better place to taste it then Ladakh! 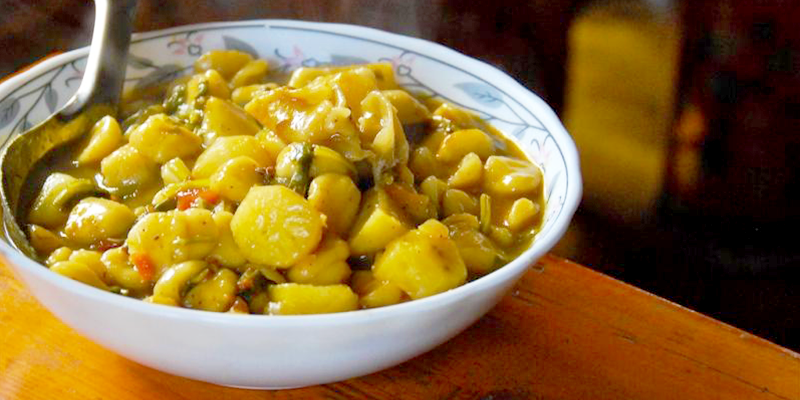 Thupka is undoubtedly the favorite dish of all Ladakhis. 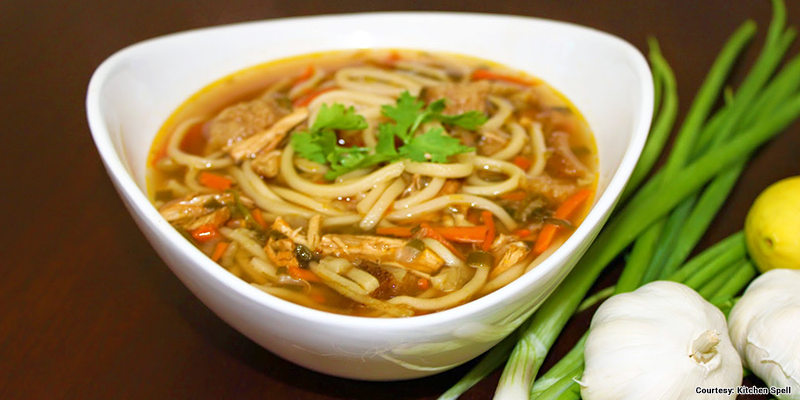 This soupy noodle is loaded with vegetables and meat. The noodles used in the preparation are made with flour that is neatly kneaded and then rolled into thin strings. Once the noodles are ready they are boiled along with onion, garlic and other seasonal vegetables. Always served piping hot, it is considered to be the best eating option to beat the chill. I know, it may sound weird, but yak cheese is a must try when you are in Ladakh. Yak is the substitute for cows in Ladakh and most households have these hairy animals. In the preparation, yak milk is mixed with lime or any other citrus fruit forming Yak cheese, which is colloquially called Chhurpi. The cheese is available in three flavors: sweet, salty and plain. The texture of this unique cheese is quite hard. Chhurpi is best had with crackers or a bottle of vintage wine. Taste the best: Though Chhurpi is available in any tea stall, but Gesmo Restaurant serves the best variety. You might have tasted Pastas from some of the popular chain restaurants, now try its Ladakhi variation. Sku is nothing but Ladakh’s own version of the world famous pasta. To prepare Sku, Ladakhis use wheat dough that is kneaded into small thumb sized portions and later boiled with vegetables and meat into a type of stew. Potatoes or root vegetables are also used in the preparation, giving it a thick texture. The dish is a bit on the hotter side and rich in flavors, which will drive away the chill from your body. A must have when the temperatures are freezing. Have you tasted a tea that is salty? Well, most of you either have it with sugar or without it, but the Ladakhis prefer to have tea with salt! Though it might sound bizarre and even taste unpleasant at first, but the more you sip, more you would love this variation of tea. The commonality of butter tea with other tea stops at being prepared with normal tea leaves. After that, there is salt and yak butter put into the preparation. Served in traditional clay-pots with beautiful designs, the flavor and unique taste of this tea can be best enjoyed in the accompaniment with Kambir. Now, what is Kambir? There are many ways of describing this tea accompaniment. Some would call it sweet bread; others name it as local biscuits. However, Kambir is brown in color and thick in texture. Visit any local tea shop and you will find enthusiastic locals sipping at tea with Kambir. 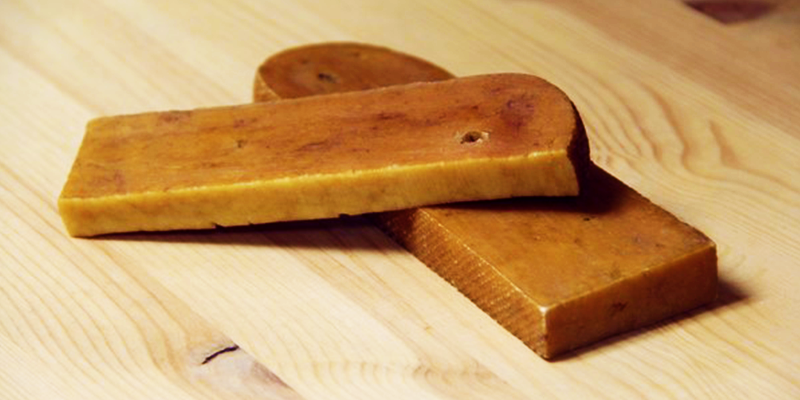 The biscuit has unique flavors and an aroma about it. 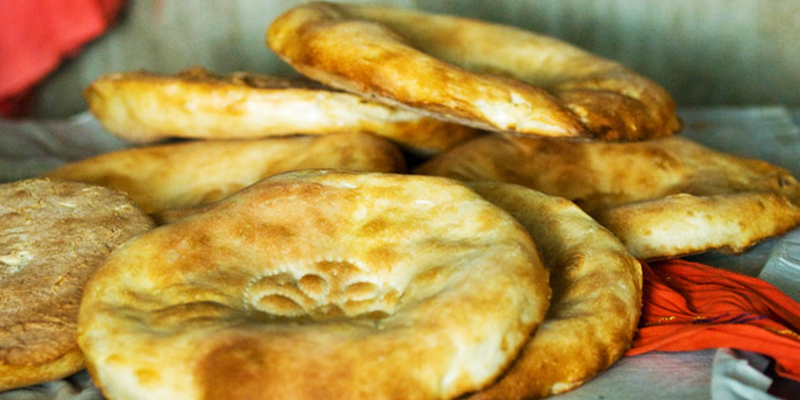 So, indulge yourself in these Ladakhi delicacies.